Manama, Oct. 12 (BNA): Minister of Foreign Affairs, Shaikh Khalid bin Ahmed bin Mohammed Al Khalifa, has extended his sincere congratulations to His Majesty King Hamad bin Isa Al Khalifa, His Royal Highness Prime Minister Prince Khalifa bin Salman Al Khalifa, and His Royal Highness Prince Salman bin Hamad Al-Khalifa, the Crown Prince, Deputy Supreme Commander and First Deputy Prime Minister. This came as the Kingdom of Bahrain won the membership of the United Nations Human Rights Council (UNHRC) for the period 2019-2021, by 165 votes, in the elections held today at the United Nations General Assembly in New York City. 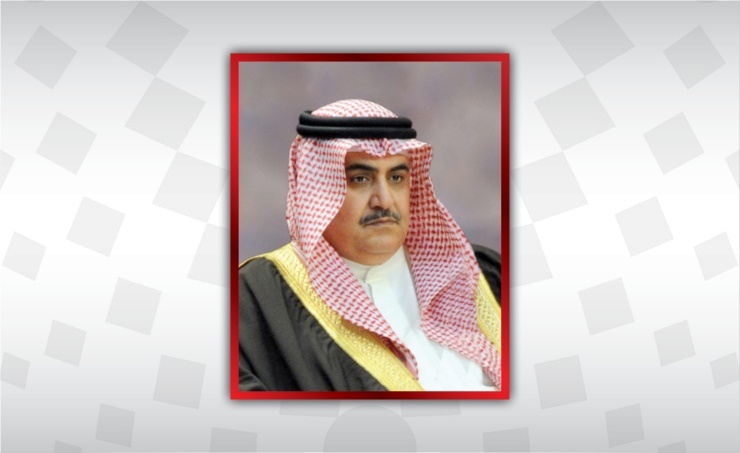 The Minister of Foreign Affairs affirmed that Bahrain’s win is the culmination of the wise policies of His Majesty King Hamad in consolidating rights and freedoms. He added that this win also reflects the Kingdom’s awareness of the importance of human rights in achieving sustainable development, its tireless efforts at the regional and international levels, as well as its firm approach in cooperating with the United Nations and its various organs in order to address all the challenges facing the international community and to have a brighter future for all countries of the world. The minister noted the confidence of the international community in the Kingdom of Bahrain to be a member of the UN Human Rights Council for the third time its history, enabling it to play its role in cooperating with the Member States to promote human rights at all levels.